Posted February 26, 2014 by trekkit & filed under Uncategorized. 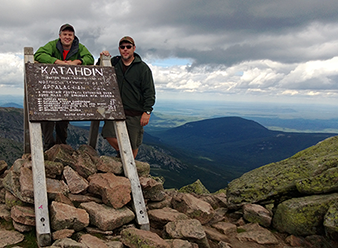 Trekkit TV ventured to Mount Katahdin, Maine for our second annual climb. This year one of the challenges was to film the climb without bringing professional grade video cameras or a video equipped DSLR, I found climbing with so much gear just too heavy. Last year I lugged a Canon 60D and filmed the first part of Tale of Two Mountains on Katahdin. Bringing the camera, microphones, various lens, and tripod was too much to carry for this “out of shape” computer programmer. So this year I decided to make the trek lighter by using a hand held camcorder, Go Pro Hero 3, and my Nokia Lumia 920 smartphone. To add to the challenge, I had an extra Nokia Lumia 800 and a couple of 800s on loan from the Fredericton Developer User Group, which they got from our local Nokia Ambassador. I gave these phones to our team and ran a little contest to see who could get the best video clip from the hike with their phone. The prize was a $100 gift certificate to their partner’s favorite restaurant. Those video clips and the winner will be subject in another blog. 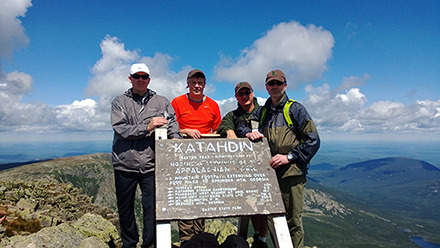 The video from all the various cameras will be part of the Trekkit TV Katahdin episode airing on Bell Aliant Community One this fall. The episode will also be available on the Internet on Trekkit TV soon after its airing. Please note: These videos have not been color corrected or sound adjusted, just clipped raw footage for now. I cannot wait to make the full 29 minute episode with soundtrack, narration and lots of tweaks. I am excited about going on more strenuous hikes and taking lighter video equipment. Do not get me wrong, a video capable DSLR shoots awesome video which you can’t get on any smartphone but many times you just cannot carry one with you. Now that I have seen videos produced on my small camera trio, it will be easier to explore new places and travel light. Going to be interesting when I get a hold of a Nokia Lumia 1020 and use the newer camera/video software. It is not always about the technical quality of the video, but the content and the story it tells. Grab a camera, go an adventure and tell us about it.